When I read Intuitive Eating, I got really excited about enjoying food again. I was told that eating mindfully would allow me to have a richer and more satisfying eating experience. After years of depriving myself and the subsequent shoveling of food into my mouth, I was looking forward to eating in a peaceful and pleasurable way. Did that happen? Absolutely and it was downright amazing! But, oddly enough, mindful eating also caused the opposite to occur. Mindful eating did not come naturally to me at first. To keep up with life, I was constantly multi-tasking. I would spend so much of my time working that eating was secondary. During mealtimes, my focus was on my main task so, before I knew it, I would have eaten without tasting the food and often fly past fullness just because I wasn’t paying attention. When I read about mindful eating, it seemed easy enough. Calm environment. Take deep breaths. Engage all of my senses. Chew slowly. Pause and put my fork down between bites. These were all things I could control, but years of mindless eating made this seem insurmountable. I decided to approach mindful eating as I did intuitive eating as a whole. I did it in baby steps! I found eating mindfully slightly tortuous at first! I was so used to eating while reading or sitting in front of the computer that ONLY eating drove me nuts. Using my baby steps philosophy, I ate mindfully for a few bites of one meal. That increased to a couple of minutes and then to a whole meal. And this was not everyday at first either. I could only handle it a few times a week before I kicked it up to once a day. Now it’s more often than not. In fact, there are times now when I attempt to multi-task and I don’t like it. I’d rather just enjoy my food! As I became more and more mindful, I noticed a few things. First of all, taking the time to savor my food brought meaning the act of eating. I remember taking the first mindful bite of a donut and really feeling connected to the experience. I felt satisfied because I was not just cramming it into my mouth. I was present and in the moment. It was almost meditative. Then the unexpected happened. There were foods that I thought I loved that I began to dislike. I used to eat hummus with my veggies because hummus is “good” for you and it’s a go-to for many vegetarians like me. Once I began to eat mindfully, I realized that I wasn’t looking forward to this combination because I really didn’t like hummus all that much.1 In the past, I was eating it because I was just so hungry that anything tasted good. After experimenting, I discovered that I enjoy my veggies in a salad with Ranch dressing,2 smoked goat cheese, and crumbled tortilla chips. Sometimes I will even just munch on carrots by themselves because I appreciate the taste of a plain carrot. I also found that the memory or the idea of a particular food was better than the reality.3 This happened with ice cream. I gave myself full permission to eat ice cream because I always went for the frozen yogurt due to it being less fatty and having fewer calories. After mindfully eating different brands and types of ice cream, I found that artificial sweeteners taste awful to me and I really don’t care for the richness of real ice cream on a regular basis. Though I am not opposed to indulging in a scoop of Pralines ‘N Cream from Baskin Robbins for my birthday, I went back to my frozen yogurt. I was not depriving myself in any way. Instead, I was honoring my taste buds because I actually preferred the frozen yogurt. Now, you may be asking yourself about the feasibility of mindful eating. That’s totally valid. I personally don’t think being mindful at every single meal is practical because life just gets in the way sometimes. The last thing I want to do is to make mindful eating a food rule where I have to always eat in this manner. It doesn’t have to be all-or-nothing. I now eat distraction free about 80% of the time and that’s a vast improvement compared to where I started. Dieting was so ingrained in my head that I consumed food without asking myself if I even liked it. We are taught to eat diet foods whether or not they taste good. Though it took a tremendous amount of effort to learn to eat mindfully, being aware of what tastes good and what satisfies me made such a difference in my eating experiences.4 I now find more enjoyment in what I eat because I eat what I enjoy! To conclude, I would like to take a moment to say farewell5 to some foods that I loved in the past but now find myself eating them sparingly or not at all. Skittles: Though I used to love the Wild Berry Skittles and Tropical Skittles, the artificial coloring, flavoring, and corn syrup are just too much for me now. I’ll pass. Eggs: They need to be in something like a warm flour tortilla or I gag a little bit. Tzatziki: It’s a bit rich, so a few dabs is enough for me. See’s candy: I love me some See’s candy, but I can only do a few pieces at at time now. They’re too damn sweet! Did you make any discoveries when you started to eat mindfully? Please share in the comment section below. 1Please don’t send me hate mail hummus-lovers! 2And full-fat Ranch dressing no less! Gasp! 3I go into my thoughts and feelings about this in the article “Mourning: An Unexpected Part of Intuitive Eating”. 4And if it doesn’t taste good, I refuse to be part of the clean plate club! 5Or at least a semi-farewell. I don’t make food rules anymore, so I may start eating more of these at some point. 6The whole norovirus outbreak scared the crap out of me too! At least I know that I wash my hands before I cook. I have just eaten a piece of white bread toast. I really fancied it. “White bread,” oh my goodness, my mind has been dictated to so much over the last thirty years,and I always eat wholemeal because it’s “better” for me, whatever eating plan I am on at that moment. I really wanted hat white bread toast though, and enjoyed every bite. 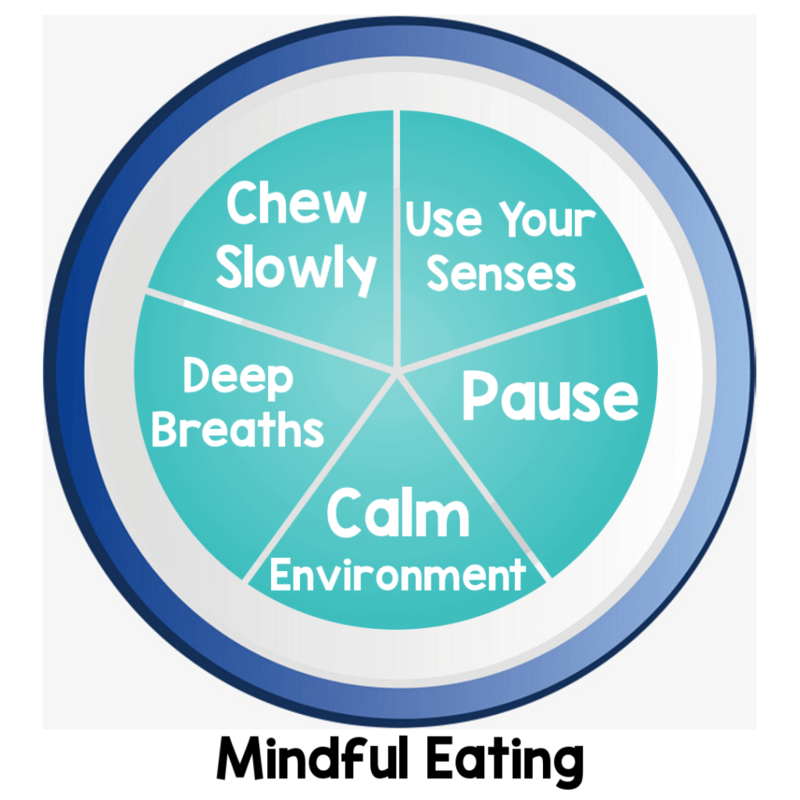 Completely mindful eating. Wow! Nice! I certainly have tried non-wheat foods and some do it for me and some don’t. I like wheat bread for toast and sandwiches. I tried wheat pasta and I just couldn’t do it. White pasta for me all the way!